All homes currently listed for sale in the zip code 90062 as of 04/18/2019 are shown below. You can change the search criteria at any time by pressing the 'Change Search' button below. "Come look around ask questions, see yourself living here, fall in love & make an offer. 3 bed, 2 bath, 1540 SqFt. This home is stunning, and has been completely remodeled inside and out; open floor plan, recessed lighting, brand new HVAC, copper plumbing and central air and heating with a tank-less water heater. All flooring has been updated, and there is an abundance of natural light throughout. The large kitchen features new quartz counter-tops, ample cabinet space, dishwasher, and washer/dryer hookups. The spacious master bedroom has a large closet and double vanity in the master bath. The backyard includes a converted bonus room w/bathroom, perfect space for a den, office, man cave, or whatever you want! Short distance to downtown L.A., shopping restaurants, Leimert Park, Exposition Park, USC, Expo Line, and freeways. Buyer & Buyers agent to fully investigate and verify the square footage, disclosures and complete their own inspections." "TURNKEY!!! 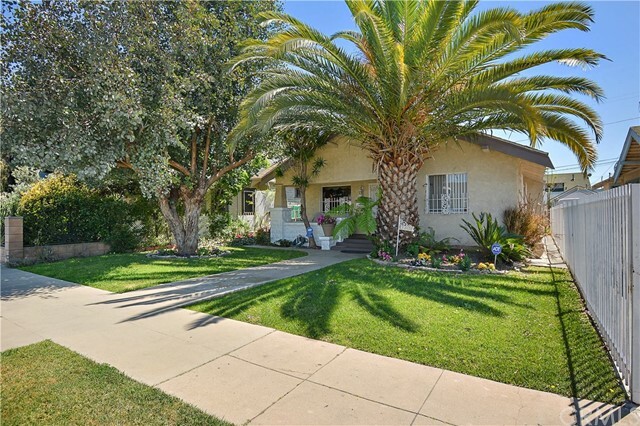 Craftsman beauty in high demand area is sure to catch your attention! 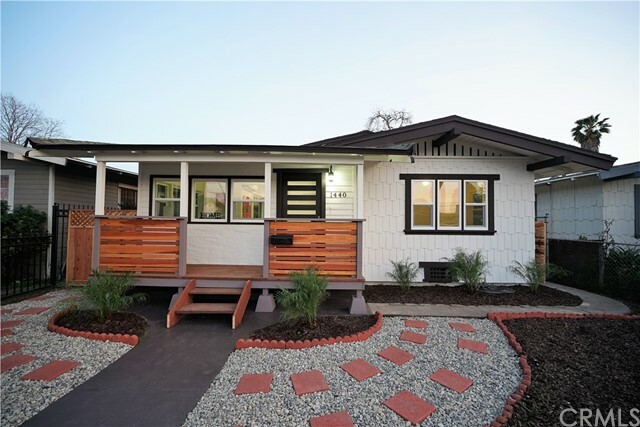 Welcoming porch sets the tone for this completely remodeled duplex. This is truly a MULTI-GENERATIONAL property. Originally SFR converted by previous owner as Duplex. Current design can be a SFR, just install a door in between the partition wall. Designed with big families or an investor. Own these two units, live in one and collect rent from the other. Why rent if you can buy a home! This beauty features 2 bed 1 bath on each unit. Enjoy a full kitchen remodel with soft close cabinets, stylish quartz counter tops, new stainless appliances, fresh interior/exterior paint, new bathrooms, laminate wood floors throughout, new fixtures, new dual pane windows and more! Cozy living room features decorative fireplace overlooking open floor plan to kitchen and dining area. New windows allow for tons of natural light. In the bathrooms you will find new counters & vanities and beautifully tiled shower/bathtubs. Laundry area located inside. Door from master bedroom leads to the detached garage. Long driveway can still fit 2 more cars. Raised block wall fencing is added for privacy. Lastly, this is a move in ready home! Located close to schools, churches, shopping, dining and entertainment. This is a must see and don t miss out on this great opportunity! Security/Alarm system is included. Buyers may qualify up to $20k in closing costs using a HERO Home Buyer Credit program. No repayment required." 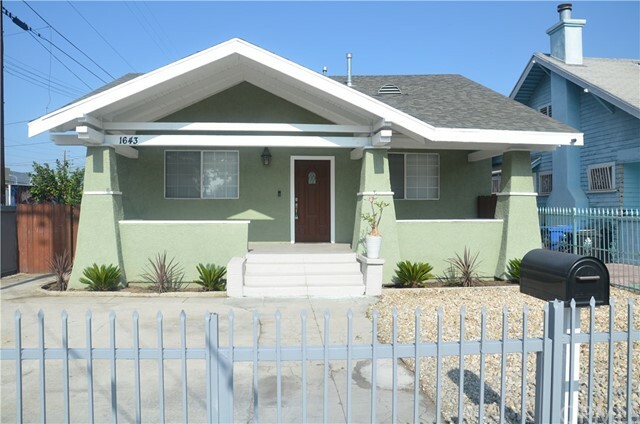 "Rare 4 bedroom, 2 bath home in sought after Leimert Park area. One of the biggest homes in the area. Check comps and you will see how well priced this home is. Extensive work has been to this home to bring out its beauty. Brand new floors through out the home. Fresh new paint inside and out. Renovated bathrooms with new lighting. Recess lights were also added to thespacios kitchen. Much of it original cabinetry has remained intact to add to its charm. The two bedrooms and bathroom in rear of house were added in 2005 along with copper plumbing and updated electrical system. Everything was done with permits. Enjoy this great weather on the rear deck overlooking the backyard. The 16x20 garage was also added in 2005. Garage can be converted into an ADU and can generate up to $1500 per month. This would be a great addition that will supplement your mortgage for years to come. Close to freeways, downtown LA, dining, entertainment and USC." 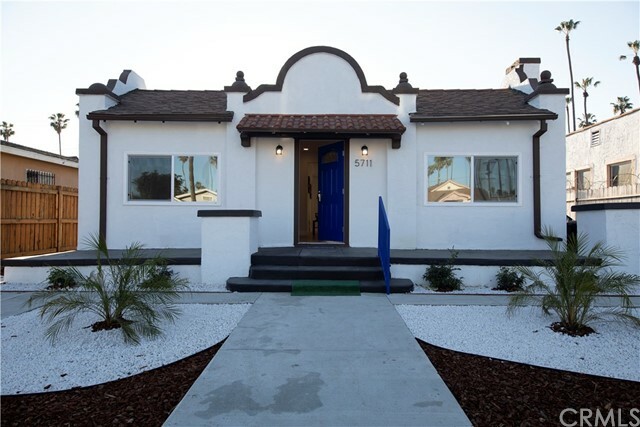 "Welcome to this gorgeous remodeled California-style bungalow that combines both its vintage character with beautiful modern upgrades! This area is quiet, green lawns to your left & right. As you are driving up, there is no doubt of the stunning curb appeal displayed by the stunning newly planted front lawn. This 3 bedroom 2 bath home provides an open functional floor plan with an adjoining kitchen, dining, living area. Imagine the family unity here, it's not only convenient to have the living & dining room located off of a kitchen, the connected space allows for a fun & open integration of the three spaces. The kitchen provides fully customized cabinets, quartz counter tops & conveniently neighbors the inside laundry service porch. A gallery of new dual pane windows, crown molding, new roof, new wood laminate flooring flows throughout, master bedroom is complete with en suite bathroom, central AC/HVAC, and two-tone interior/exterior paint make this home the perfect investment for you! Plus a 2 car detached garage that is conveniently accessed from the new concrete driveway & an attached recreational room that can be personalized to meet the current ADU ordinance, endless possibilities here! Location is unmatched: walking, biking, & driving distance to LA Coliseum, LAFC Soccer Stadium-The Fields, USC Village-Trader Joe's, museums including future Lucas Museum, freeways & short commute to DTLA-LA Live,Arts District, Baldwin Hills Mall,Culver City, South Bay neighboring Cities." 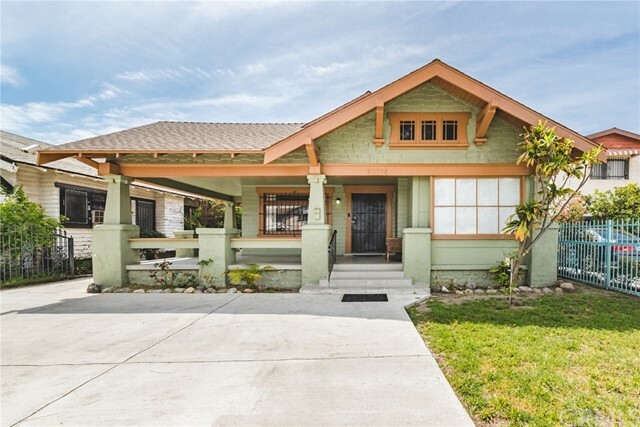 "This beautiful early century Craftsman home has tons of charm and detail. Gorgeous slate windows throughout brighten the home with natural light. Completely remodeled and ready to move in. Featuring a grand faux fireplace in the living room, wood floors throughout. New cabinets and quartz counters in the kitchen with tile floors and brand new stainless appliances. A quaint breakfast nook to enjoy your morning coffee with access to a sun-room filled with windows to let in the sun light and a separate laundry room off the kitchen. Fully remodeled bathroom with dual sinks. Three fairly large bedrooms with large closets. The home has been freshly painted inside and out. Brand new vinyl windows installed throughout. New central AC and Heating unit to make your new home nice and cozy. A long driveway to accommodate for ample parking, basement and a one car garage for additional storage and a nice yard with fruit trees. Great location, close to the 110 freeway, USC campus and Downtown LA. You must see it to appreciate. Don't wait until its too late." "This beautifully renovated duplex is light an bright and features 2 completely detached units each with private entrances. The front unit has great curb appeal with a lovely gated front lawn and landscaping. A large covered front porch is the perfect place to enjoy warm Los Angeles evenings. Inside the front unit with A/C, hardwood floors carry throughout. The living room is spacious with a traditional brick fireplace. The dining room featuring built-ins leads right into the kitchen and is large enough for entertaining. The kitchen is generously sized and offers a refrigerator, stove and breakfast counter. The kitchen also features washer/dryer hook ups. The kitchen opens to a bonus space that can be used as a separate family room or additional dining area. On this level there are also 2 bedrooms with shared closet and a full bathroom. Upstairs is an additional room with a bathroom and closet. This space could easily be used as a bedroom, media room or in-home office. Tax assessor states this is a 4 bedroom home. The back unit can be accessed from a long side yard from the front of the property or from the back of the lot. This completely detached 1 bed / 1 bath has a living room, storage closet, kitchen and dining area with an attached 1 car garage. This property has endless opportunities; live in 1 and rent the other, rent both units, live in and use 2nd unit as a guest house, or dream up your own possibilities!" 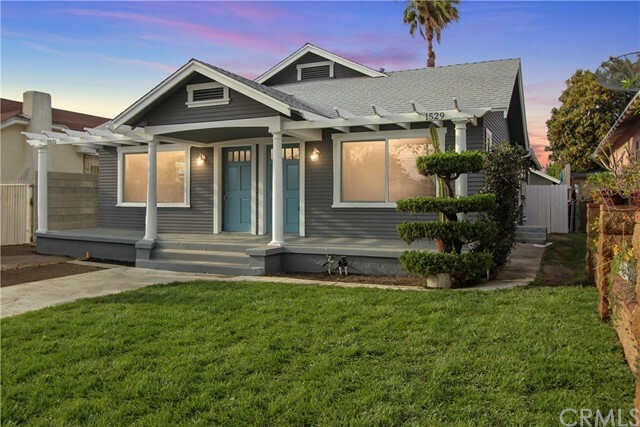 "Say hello to this American Craftsman home centrally located near USC, Mid-city, Jefferson Park, West Adams and only a few minutes away from Santa Monica. Best of all this is not a flip. Build in 1914 this property features all wood siding in the exterior with a huge porch big enough to host a table for 6. The gate is electrical, just pull up and open the gate from the comfort of your car no need to get out in rainy or hot days. The inside of the property still has plenty of the old charm, wood beams are still in place along with columns dividing the living room and the dining room. The dining room features wainscoting all around beautiful french doors and a china cabinet. The living room has a fireplace a huge window and laminate floors. Right next to the living room there's a side room that could be used as a library or an office with a working pocket door. The kitchen features plenty of counter space and has been upgraded with granite counter tops. One of the best perks is the basement a rare commodity in house hunting. 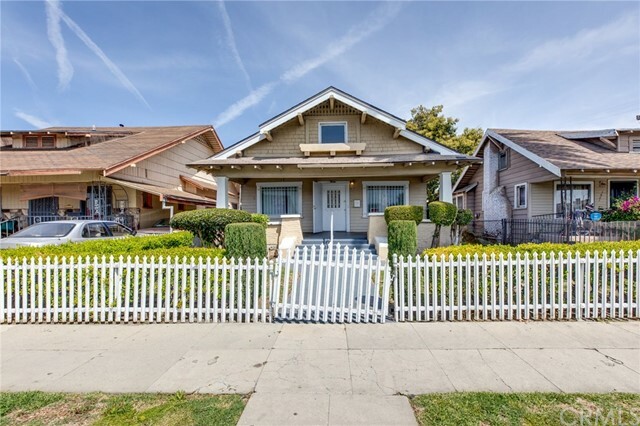 Call your agent to view this one of a kind NOT FLIPPED Craftsman house." "GREETINGS from this charming Craftsman Bungalow that has been well taken care of. This family has given this home a great amount of love and it is now ready to pass this home to a great family. This home features a 4 bedroom, 2 Bath floor plan, with room to expand. Open living space as you walk in to the home. Bathroom renovations give this home a modern look. All improvements and additions have been approved and are fully permitted. Zoned with multi-family LAR2 for multi-family use. This neighborhood is very well kept and you can see the pride of ownership on these homes. Beautifully Maintained Landscaped front yard. This home carries the look and feel of the classic home. With the upgrades feels classic with a modern touch. Plenty of parking and patio in the back of this home. Close to great schools. This cute home can be filled with your love. The active community is within minutes of freeways, USC,Close to the new Leimert Metro. Vision Theatre and Award Winning Charter Schools Very. See this home right now. Do not miss the opportunity." "Charming LA home! Upon entering this delightful home, you will instantly notice the installed laminate hardwood flooring throughout the living, dining, and hallway areas! As you make your way past the living and dining areas, you will also notice the upgraded kitchen which boasts beautiful cabinets, stunning quartz counter tops, and tile flooring! This home also features a lovely master bedroom with its very own private bathroom. The master bathroom boasts tile flooring and a shower/tub with matching tile in the shower surrounding. The guest bathroom has also been recently upgraded with paint, a stunning vanity, and light fixtures. This home also features a cozy bonus unit out back with its own beautiful and spacious bathroom. This home comes with fireplace in the living area, carpet in all of the bedrooms, beautiful light fixtures, Nicely painted interior/exterior, laundry hookups inside. 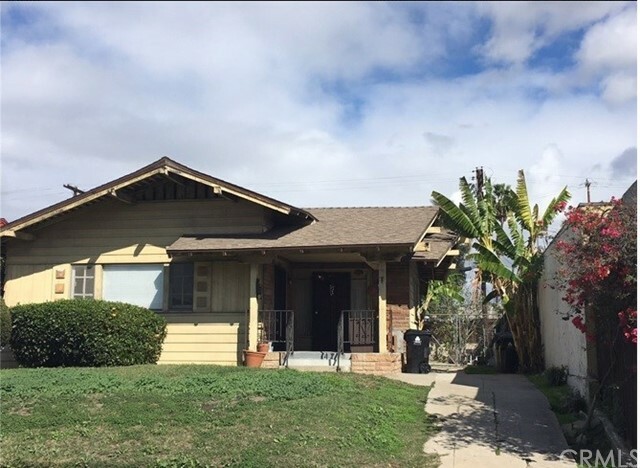 Located within minutes of schools, parks, USC Campus and the 10 & 110 freeways,this wonderful house is priced to sell and will not be available for long"
"Welcome home! 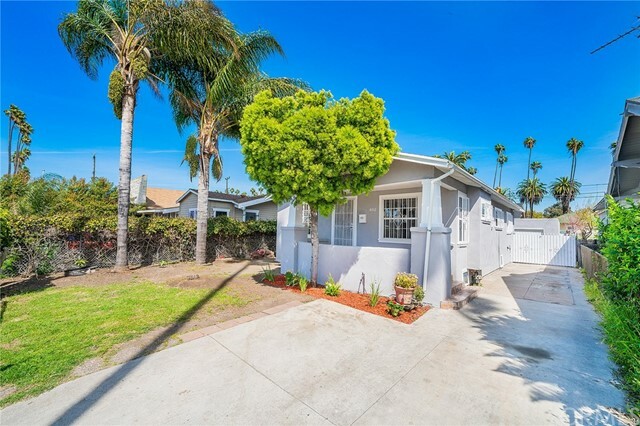 This lovely updated California Bungalow has everything you need for an immediate move in with updated electrical, plumbing, flooring, and windows. Enter into the open spacious floor plan; the living room features a wood and gas fireplace, as well as the original bookshelves. In the dining area, you will a large sliding door that opens to a lovely side porch great for leisure and entertaining guests. Quartz countertops and new cabinets grace the well sized kitchen that also features a breakfast nook. If all that wasn't enough, the large family room off the kitchen allows for ample space to lounge, and entertain family and friends. With two full bathrooms, and three well sized bedrooms, this is a great place to call home." "BEST PRICED HOME in this Hyde Park Area -- With your personal touch, You can transform this amazing Property into your Dream Space!! 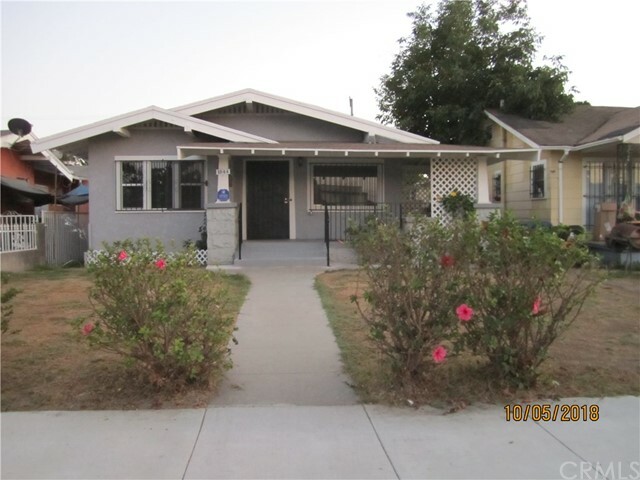 A Great Opportunity to own this Corner Lot California Bungalow!! This property is centrally located - Has upside potential for the Traditional or Investor Buyer looking to Upgrade. Spacious home surrounded by wrought iron fencing with a relaxing enclosed patio in the front - Open Comfortable Floor Plan with a combo living and larger dining area which has an exterior enclosed sitting area - Window in Formal Breakfast Nook - Bright Kitchen has a gas stove top and wall oven - Enclosed laundry area off kitchen that leads to rear yard. Master bedroom has a 3/4 bath and walk-in closet, all bedrooms have mirrored closet doors, bedroom #1 has built-in shelving. Copper Plumbing - Two-Car detached garage - Backyard has Orange, Lemon, Kumquat, Grapefruit and Apple trees. HURRY - HURRY THIS HOME WILL NOT LAST!!! PRICED TO SELL!!" "Have you been looking for a great opportunity to purchase a home in this growing area? 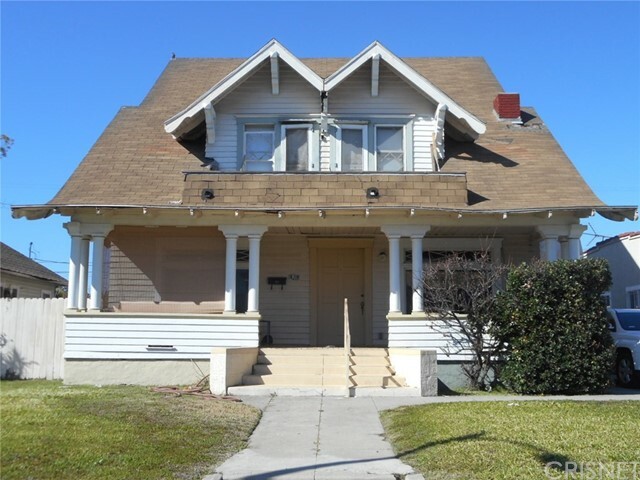 This is a great purchase for an investor or an owner to remodeled this property to their liking. 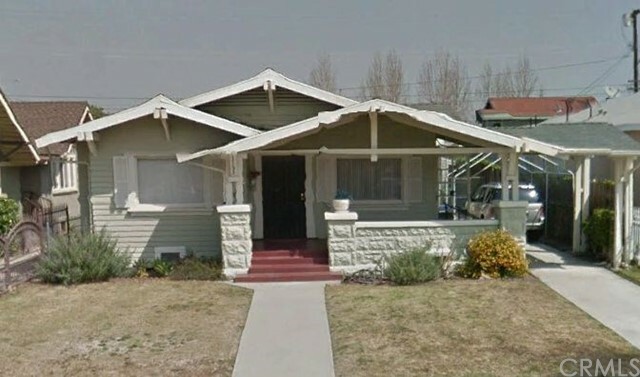 This is a Craftsman Bungalow single family home built in 1914. Have 1,498 SqFt. and 5165 SqFt. lot size per assessor. 4 bedrooms, 1 bathroom, 2 car garage entry from the ally at the back of the house. Livingroom and dining room next to each other and Inside laundry hook ups, located next to the kitchen. Have granite kitchen counter top. Carpet, wood and tile flooring. Shingle roofing, back fence is concrete and iron. This home have a raised foundation. 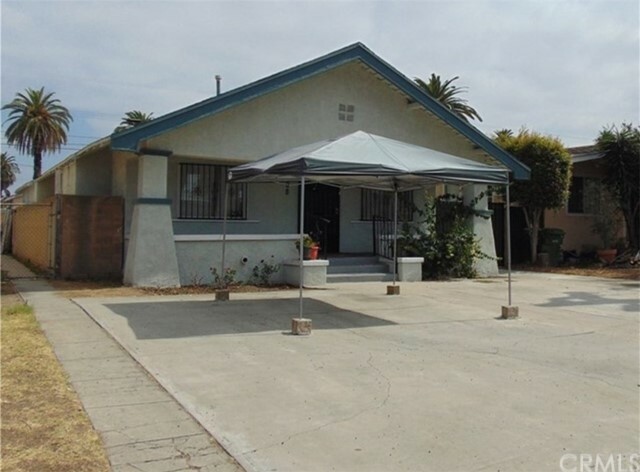 The LA county assessor profile have 3 bedrooms but this property have 4 bedrooms. Exposition Park Neighborhood. Centrally located, nearby Expo Line's Western Avenue stop and close to the Natural History Museum, the California Science Center, USC Village, Bank of California Stadium. Easy access to the 10 freeway and 110 freeway. Also close to Martin Luther King Jr. Blvd. Metro stop to go to Airport." 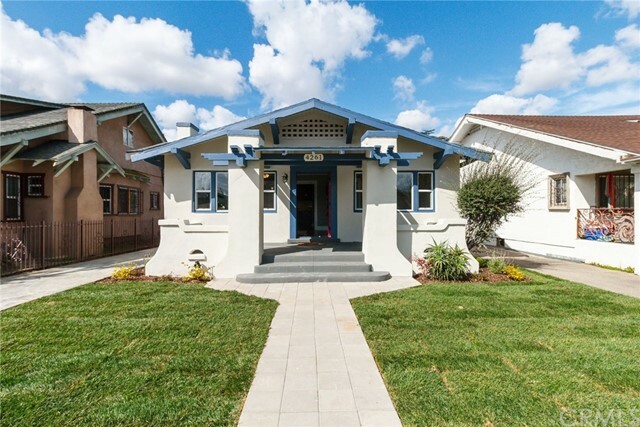 "Welcome home to this stunning remodeled Craftsman with a generous living space and tons of upgrades!! As you enter through the front door you will pass by the open front porch and immediately see this home has been generously touched with new interior and exterior paint, gorgeous laminate flooring, completely redesigned kitchen with stainless steel appliances and granite countertops, all new drywall, doors, baseboards, and two beautiful new bathrooms! In addition to all the interior upgrades, this property comes with new exterior fencing and automatic gates at the front and rear of the property leaving you tons of room for cars and toys! New HVAC with Nest Thermostat, HD Security camera system, and an included garden shed in the rear of the property! There is a studio unit (currently rented to a tenant) and a one car garage (currently utilized as a man cave). Perfect house to make an amazing home for a family! Conveniently located near all major freeways, downtown, USC, Coliseum, New Soccer Stadium, and only a couple miles from the new football stadium! So many upgrades to list, come see for yourself and make this house your home!!" "Perfect Investor Opportunity - Under one roof is a Single family style home-built to Duplex. Features Two private entrances on record. 3994 AND 3996 La Salle.. Each unit has its own entrance, living room, bedroom, kitchen and bath. Huge back yard. Long driveway for parking. Lot is over 6000 square feet with room for expanding - LOCATION -LOCATION- about 5 Minutes to USC, LA Coliseum, Banc One Arena, Downtown LA, Police station less than a Block away. close to upcoming Star Wars Museum. Probate listing subject to court confirmation." "ATTENTION AGENTS SUMMER IS HERE ONCE AGAIN BRING YOUR BUYERS. COME SEE AND ENJOY THIS HOUSE WITH A SWIMMING POOL. THIS IS THE ONLY HOUSE WITH A SWIMMING POOL IN THE AREA. TITLE SHOWS 2 BEDS AND 1 BATH IN FRONT UNIT, PLUS 3 BEDS 1 BATH WITH A KITCHEN IN THE BACK. TENANTS PAY GAS AND ELECTRICITY. DO YOUR DUE DILIGENCE. LARGE DRIVEWAY , NICE FRONT YARD WITH A BRICK FENCE. GREAT INVESTMENT OR FIRST TIME BUYERS. PERFECT FOR TWO FAMILIES. CLOSE TO THE FORUM, LAX AND MINUTES AWAY FROM USC AND COLISEUM AND BANC OF CALIFORNIA STADIUM." "PER SELLER, NEW ROOF - 12 YEARS OLD / COPPER PIPES - 12 YEARS AGO / CHANDALIER FRONT ROOM AND BACK ROOM ARE EXCLUDED." "DON'T MISS THIS OPPORTUNITY!!!! This property has been rehab from top to bottom, with a lots of upgrades. This 3 bedroom 2 bath home has a all new floors, new paint, new kitchen with farmer sink, quartz counter tops, new cabinets the works. The 2 bathrooms also have new tile, new tubs, and new fixtures. This great area is changing fast, centrally located, minutes from Exposition park, USC, and Downtown. (buyer to check and verify sqft and rooms)"
"Hurry, Hurry, Hurry.... Don't let this one go.. 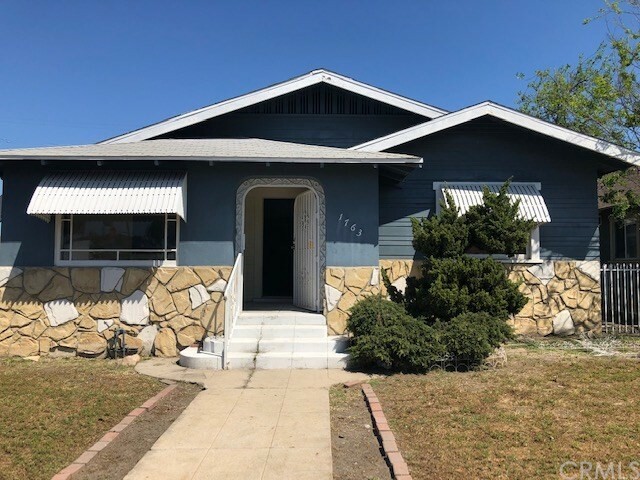 Totally rehab, new flooring, painting, bathrooms, windows, 3 bed and 2 baths, new appliances, fire place, beautiful bathrooms, etc...."
"CURB APPEAL FIXER - BRING YOUR BUYERS THAT HAVE A DESIGNER'S TOUCH. 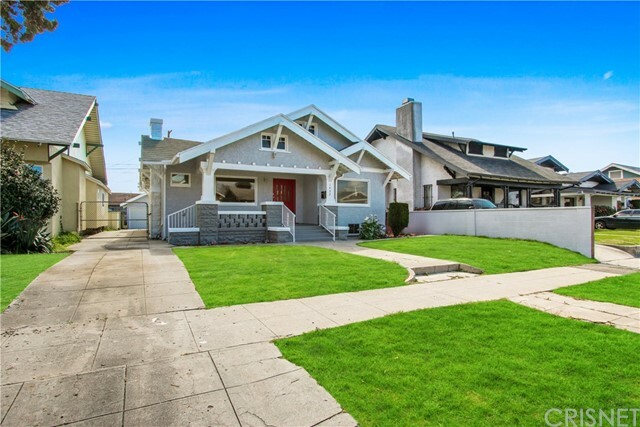 THIS BEAUTIFUL CRAFTSMAN NEEDS JUST A FEW UPDATES TO REACH ITS FULL POTENTIAL. ADDED PERKS - HOME SITS ON A HUGE LOT WITH ENDLESS POSSIBILITIES - LARGE FRONT PORCH - HARDWOOD FLOORS - BUILT-INS - FORMAL DINING ROOM - LARGE CLEAN GARAGE - GREAT STREET. MINUTES AWAY FROM USC, FREEWAYS, THE NEW LEIMERT METRO STATION, PARKS, NEW CHARTER SCHOOLS, ETC." 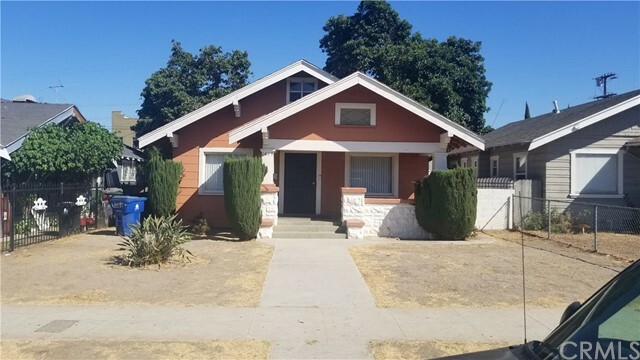 "Investment grade housing and a Investor delight, this Craftsman home will go fast run not walk. The lot feels a lot larger then county records its a must see. This 3 bedroom 1 bath has room to add on and also has a open loft/Attic"
"Cute one bedroom, one bath. Newer roof, new windows, wiring, plumbing. Close to markets." "PROBATE AUCTION!!! 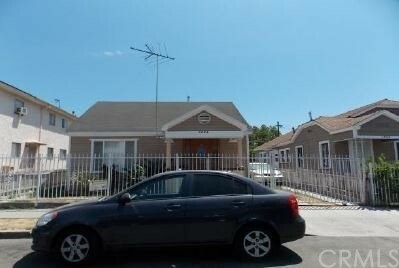 2 STORY, 4 BEDROOM, 2 BATH HOME ((1) BATH, (1) BATH) FIXER HOME IN LOS ANGELES. THERE IS A SHOWER IN THE DOWNSTAIRS BEDROOM (NO PERMIT). LIVING ROOM WITH FIREPLACE, DINING ROOM AND KITCHEN WITH SERVICE AREA. FLOOR HEATER. WOOD FLOORS. STORAGE BASEMENT. DETACHED 3 CAR GARAGE. GRASS BACKYARD. POSSIBLE DEVELOPMENT SITE."